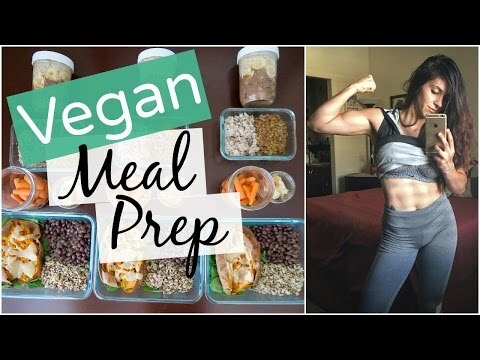 In this video I share a sample meal prep ideas that I personally prepare and eat as a vegan. Please keep in mind this is NOT a COMPLETE nutritional plan or everything I eat in a day. I eat as much as I am hungry for and usually have a protein smoothie post workout (which adds a little over 25 g protein to my day). I will be making an update fitness video soon where I talk about how I am eating and training currently. These are just healthy and quick meal prep ideas I like making for myself. If you have any Questions, feel free to ask me and I am happy to help. NOTE: EAT ACCORDING TO YOUR GOALS. Adjust macros and portions as needed. NOTE: Something else I want to clarify is that I don’t always eat these BACK TO BACK. Sometimes I make a completely different meal using the meal prepped foods, but adding other things like TOFU or other varieties of vegetables.